Our board currently has nine members and exists to jointly oversee the activities of the Cell and Gene Therapy Catapult. John has extensive experience in the life sciences sector. He is Chairman of ProStrakan Group plc, Touch Bionics, CXR Biosciences and Synpromics, a Non-executive Director of Vectura Group plc and BioCity Nottingham and previously was Chairman of BTG plc and Axis-Shield plc. 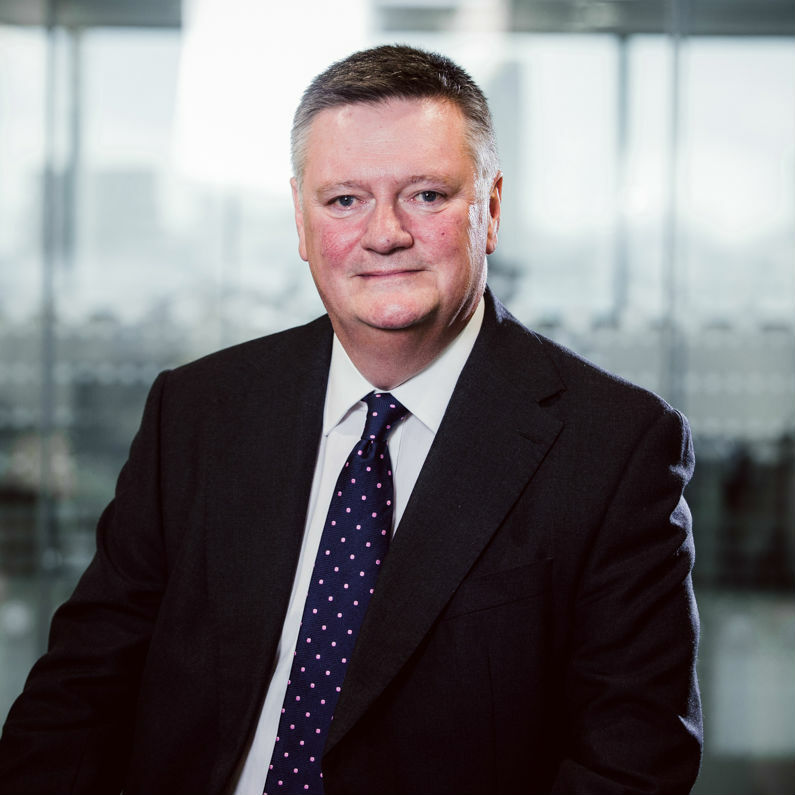 In the public sector, he is also Chairman of The Roslin Foundation and the Easter Bush Development Board, co-Chairs the Life Sciences Industry Advisory Board for the Scottish Government and has recently retired as a member of the Scottish Science Advisory Council. He is an advisor to private equity and venture capital funds, a Fellow of the Royal Society of Edinburgh and Honorary Professor of the University of Edinburgh. John was Chief Executive of Acambis plc, a leading producer of vaccines to treat and prevent infectious disease, from 1997-2004. Dedicated to building a Cell and Gene Therapy industry in the UK, Keith has built a team of over 180 cell and gene therapy experts in state-of-the-art laboratories in London and a unique large-scale manufacturing centre in Stevenage. Keith established the Cell and Gene Therapy Catapult in 2012. Prior to this he was Director of the Scottish National Blood Transfusion Service, focused on modernising the blood supply from vein-to-vein and expanding into cell therapy. Keith has held various positions in Biotechnology companies, he was Managing Director of Bioscot, one of Scotland’s first Biotechnology companies; at NASDAQ listed Serologicals he was Vice President of Diagnostics Operations, then Vice President of Global Manufacturing. He is currently a Director of the UK Bio Industry Association, a Director Of the Alliance for Regenerative Medicine and serves on the ISCT Strategic Advisory Council. He has been Chairman of the UK Blood Forum, a Director of the European Blood Alliance and Treasurer of the International Plasma Fractionators Association. In 1993, when at Bioscot, he received the Queen’s Award for export. Keith holds first and second degrees in Biological Sciences and Applied Genetics from Birmingham University along with an MBA from Edinburgh University. Nick is an independent consultant advising life science companies on all aspects of business and corporate development. He has a first degree in biochemistry and MScs in biochemical engineering and the management of intellectual property. Until the beginning of 2013, Nick was Corporate Development Director of Consort Medical. Before joining Consort, he was Chief Executive of Intercytex Group plc, a company focused on regenerative medicine, from 2005 to 2010. Prior to Intercytex, Nick was Chief Business Officer at Acambis plc, a vaccines company, for 11 years. His early career was with Unilever Research, PA Consulting Group and Porton Developments. Marc is Professor of Cellular Therapy at the University of Edinburgh and Medical Director at the Scottish National Blood Transfusion Service. He qualified in Medicine from the University of Manchester in 1982 and trained in General Medicine and Haematology. He obtained his PhD in human haematopoietic stem cell biology from the University of Edinburgh in 1995, and an MBA in Life Sciences from the Open University in 2007. Marc is a Fellow of the Royal College of Physicians of London, a Fellow of the Royal College of Physicians of Edinburgh, a Fellow of the Royal College of Pathologists, a Fellow of the Royal Society of Medicine and a Fellow of the Higher Education Academy. Marc’s research interests include immunohaematology, variant CJD transmission by blood and tissues, and translational research in stem cell therapy and adoptive immunotherapy. He has 130 publications and has held 35 research grants. Michael is Professor of Physiology and Dean of Research and Innovation in the Faculty of Medical Sciences at Newcastle. He is widely published in the areas of reproductive and developmental biology and cell cycle control. He has been instrumental in developing the research strategy of the Medical Faculty at Newcastle University whose research now ranks among the top ten in the UK. Michael has been closely involved in forming and delivering the North East regional strategy in the Healthcare and Life Science areas, particularly in the areas of ageing, stem cell biology and regenerative medicine. He coordinates the regional pharma manufacturing initiative, FirstforPharma. He has been active nationally at the Wellcome Trust and has acted as secretary of the British Society for Cell Biology. He is a Fellow of the Society of Biology and of the Academy of Medical Sciences. Steve has spent more than 35 years working in the field of research and development within the Biopharma industry and now works as an independent consultant. His career has focussed on leading the development of new healthcare interventions with a particular emphasis on vaccines and immunotherapy products to combat infectious disease, including experience in the biodefense sector. His previous roles include Executive positions at Medeva plc, Microscience Ltd, and Emergent Biosolutions. Steve also served as an Executive Director of the Health Protection Agency where he was responsible for emergency preparedness and response. Steve is also the Chairman of Prokarium Ltd, a private UK vaccines company. Steve is passionate about translational research – driving new technologies and products towards commercialisation and has a thorough understanding of the product development process, from research to product launch. Steve holds a PhD in microbiology and has published more than 100 papers in the field of biotechnology. Susan has over 15 years' experience as a Non-Executive Director in biotech and life science companies. Presently she is a non-executive board member of BTG plc, Vectura plc, Evgen Pharma plc and BerGenBio AS, and a member of the Investment Committee for CD3 the joint initiative in drug discovery between the University of Leuven and the European Investment Fund. Susan was CEO of Cancer Research Campaign Technology Ltd 1987 - 2000 and an Investment Director with Merlin Biosciences from 2000 to 2003. Stuart is a senior audit partner at Deloitte. Based in Cambridge since 1985, firstly with Andersen, before moving to Deloitte in 2002, he has served clients in the life sciences sector for over 30 years from start up to IPO and beyond and has extensive transaction experience. He led the European Healthcare and Life Sciences practice for Deloitte for seven years from 2004 during which time served on the firm’s Global sector industry team. He is a former board member of the Babraham Institute. Sir Bruce has had a distinguished international career as a cardiac surgeon. He held the chair of Cardiac Surgery at University College London before being appointed Medical Director of the NHS in the Department of Health in 2007, subsequently migrating to become the National Medical Director of NHS England between 2013-2018. For a decade he was the professional lead for doctors in the NHS and was responsible for clinical policy and strategy, promoting quality, clinical leadership and innovation across the service. He was the sponsor for NICE, the Healthcare Commission and the National Patient Safety Agency. With a longstanding interest in the measurement of clinical outcomes he has served on the boards of the Commission for Health Improvement and Healthcare Commission between 2002-2007. He has recently become Chair of the Birmingham Women’s and Children’s NHS Foundation Trust. He was knighted for services to medicine in 2003. Hilary Newiss is a lawyer and former partner in Denton Hall solicitors, now Dentons. She graduated from Oxford University in PPP (physiology and experimental psychology) and then as a lawyer specialised in intellectual property law, including patents and data in Life Sciences. Since retiring from full time legal practice she has served on several public bodies in the science, innovation, data, health and ethics fields, continuing her lifelong interest in innovation and its translation to industry and benefit to society. She is an experienced non-executive Director and currently a Trustee of the Natural History Museum, Chair of National Voices (an umbrella group for 160 Health and Social Care charities), a member of the Accelerated Access Collaborative and a trustee of the Roslin Foundation. Previously, Hilary was a Non-Executive Director of the Francis Crick Institute, a member of the National Information Governance Board for Health and Social care, the ethics and governance board for Biobank UK and the Intellectual Property Advisory Group. She has also served on the Accelerated Access Review, the Human Genetics Commission and the Royal Society IP working party, co-authoring or advising on several publications on innovation, intellectual property and science and the use of personal data in health. Uta is a Professor in Molecular Medicine at Imperial College London and President of the British Society for Gene and Cell Therapy from 2017-2021. Uta has over 20 years experience in developing advanced therapeutic medicines. Her research interests are related to the development of gene and cell therapy-based treatments for cystic fibrosis and other lung diseases. As part of her translational research, Uta has overseen vector and biomarker development, toxicology studies, as well as GMP vector manufacturing. Uta is Co-Investigator on several gene therapy trials, including a recently completed non-viral Phase IIb study. Uta is a Strategy Group Member of the UK Cystic Fibrosis Gene Therapy Consortium. In addition, Uta is interested in teaching and work-force development. She is Deputy-director for post-graduate research at the National Heart and Lung Institute and Programme director for the MSc in Genes, Drugs and Stem Cells-Novel Therapies at Imperial College. Matthew joined the Cell and Gene Therapy Catapult in 2012, from the novel therapeutics company Aqix, where he was Chief Executive. He has broad experience in the biotechnology industry leading SMEs, raising finance and commercialising diagnostics, medical devices, and therapeutics for regulated use in the EU. He was also an expert advisor to the World Health Organisation on medical innovation strategy. Matthew was also a Director at the venture capital firm CDC, where he was responsible for due diligence and new investment in their $3.5bn international portfolio. He completed his training in corporate finance and international investment banking at Bank of America Hoare Govett and Prudential Bache in New York and London. He has a BA in pure and applied biology from Christ Church, University of Oxford, and an MBA from the University of Chicago Graduate School of Business, where he also assists in teaching new venture strategy on their MBA programme. Prior to becoming the new Chief Manufacturing Officer of the Cell and Gene Therapy Catapult Stephen has established the world-class industrialisation capabilities at both the Guy’s Hospital facilities in London, plus designed and built the innovative GMP manufacturing centre in Stevenage. As the first Chief Operating Officer of CGT Catapult Stephen brings over 25 years of biological medicine research, development and manufacturing experience to the organisation. Stephen enjoys bringing high impact therapies to patients, by developing commercially viable products. Stephen is passionate about securing and growing the cell and gene therapy manufacturing and development supply chain. He is the current Chair of the BIA’s Manufacturing Advisory Committee, actively promoting and supporting UK biomanufacturing at Government as well as grass root level. His first degree was from the University of Birmingham, and his second degree from the Medical School of Southampton University. Jacqueline joined Cell and Gene Therapy Catapult as Director of Regulatory Affairs and has since been promoted to Chief Clinical Officer. Prior to this Jacqueline worked at the Scottish National Blood Transfusion Service in a number of senior regulatory and quality positions, the responsibility for which included designing the regulatory strategy for the Cellular Therapies developed by the Blood Transfusion Service, acting as Responsible Person for Blood and Qualified Person for medicinal product release. Before that she held a number of post-Doctoral academic posts at the University of Edinburgh studying neuromuscular regeneration. She has considerable experience in the development, translation, clinical trial and approval of cell based medicinal products and therapies. 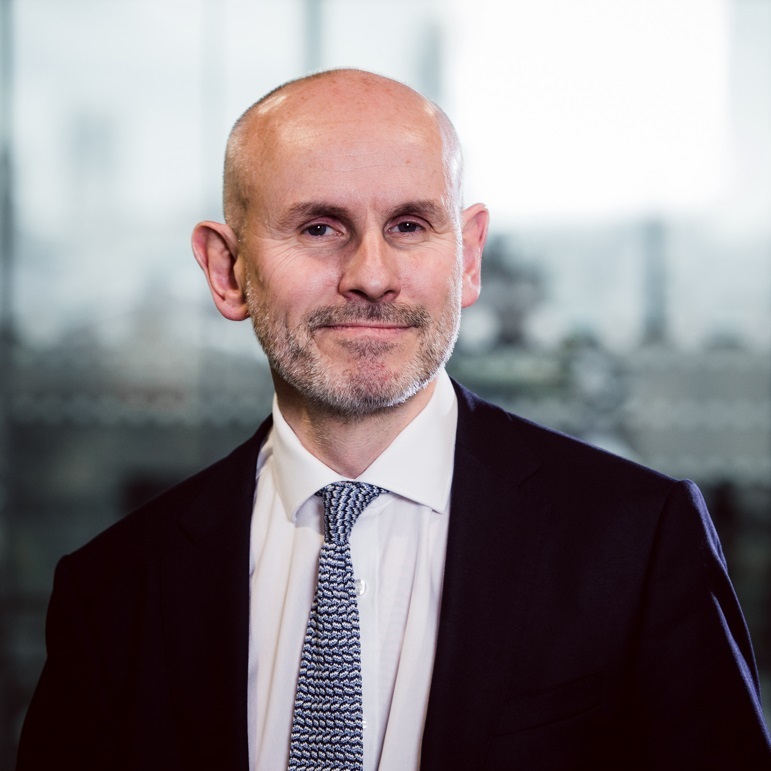 Dr Appleby joined CGT Catapult as Chief Scientific Officer in October 2018. Prior to joining he was CSO for Cell and Gene Therapy at GSK’s Rare Diseases Unit where he also led the team that developed and launched Strimvelis, the multi-award winning and first autologous stem cell gene therapy to be approved for commercial use. Dr Appleby has worked in all phases of medicines development from discovery to launch and brings decades of industry experience in both conventional and ATMP medicines development. Prior to joining GSK’s Rare Diseases Unit, Dr Appleby was Director and Portfolio Manager at the GSK Centre of Excellence for External Drug Development. In this role, he discovered, in-licensed and developed new technologies and assets with SME companies across a broad range of therapeutic areas. Dr Appleby graduated from the University of Leeds with an honours degree in Genetics and a PhD from the Department of Biochemistry and Molecular Biology.